GMC manufactures some of the best trucks in the automotive industry. You enjoy your truck or SUV for style and comfort, as well as off-roading and hauling. We perform all the vital services that GMC drivers in the Tacoma, WA area need for long-term enjoyment of their vehicle. Our routine maintenance plans are designed to keep you on the road, and out of our repair garages. Coopers Auto Repair Specialists’ technicians are uniquely qualified to handle your GMC truck or SUV repairs and maintenance. We know and understand GMCs, and the sooner we know yours specifically, the sooner we’ll have you on a maintenance schedule that secures your vehicle’s future. Efficient and consistent maintenance is all preventative, and makes sure you’re driving your for a long time. We take into account several factors when servicing your vehicle, such as its age, your driving habits, and the conditions in which you’ll be using your GMC. In the event that you have actual repair needs, we are your best option for affordable expertise. 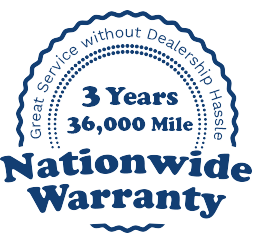 Our GMC customers know that our special skills are unmatched, and we are a preferred option to local dealerships. Anything from minor repairs to major repairs should be brought directly to us. We handle everything from routine maintenance, like oil changes and lube services to complex repairs like transmission replacements. Coopers Auto Repair Specialists are some of the automotive industry’s most skilled technicians. We bring you final solutions to all your vehicle’s problems, as well as carefully monitor your GMC’s progress with continued maintenance. Your GMC truck is your pride and joy, and we treat it as such. The time you spend doing any outdoor activities in your GMC truck or SUV should not be hindered by any missed services. We’re here, waiting on you and your GMC! Give us a call at (253)466-2917 to schedule an appointment. Or stop by at your earliest convenience and let us know exactly how you’d like us to improve your GMC’s performance.